City University of Tripoli (CITY) is a center for higher education and research, adopting the American educational system. CITY is located on a hill overlooking the Mediterranean and the city of Tripoli. The university’s various buildings and students’ facilities span over an area of 150.000 m2. The campus has many open green areas, and the architecture blends within its surrounding environment. The university has 7 Faculties that provide 44 fields of specialization which are offered by experienced faculty members and supported by state-of-the-art laboratories, equipment, and amenities tailored to offer its students’ academic excellence. CITY Architecture students and Engineering students have excelled, among students from other universities, and were able to secure positions among the top three in various competitions held by the Order of Engineers for the last several years. In addition, CITY signed agreements of collaboration with Brunei University (London), Mississippi University (USA), University of Genoa (Italy) and the Lebanese University and The Arab Academy for Science and Technology and Maritime Transport (Alexandria) for the furtherance of it students and academic programs. 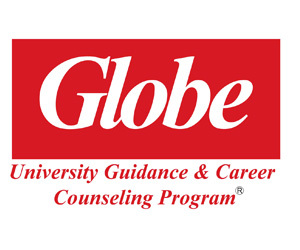 The University offers its students comprehensive career development and employment assistance. Services include help with landing on-campus and off-campus students’ jobs. Career Services provides opportunities and resources for students to investigate major career possibilities through career and job fairs. As part of its social responsibility and in alignment with its mission to offer quality higher education to all members of society, CITY has put forth various financial aid plans. First year students are offered a 40% financial aid on their tuition. In addition, CITY has a merit scholarship policy reaching up to 50% of the tuition. Students at CITY can pay for part of their tuition by referring to the career center, which helps students work at the University. Furthermore, CITY campus life is not limited to classroom instruction. A university that seeks to graduate well-rounded individuals must educate the mind as well as the soul. Accordingly, in addition to providing first class education, CITY encourages freedom of self-expression and instills in its students a culture of openness, tolerance, and inclusion. CITY cafeteria provides an area for students to meet and socialize, thus enhancing their campus social life. Moreover, the numerous clubs and societies available at CITY campus allow its students to engage in extra-curricular activities that foster cooperation and camaraderie among the student body. Architecture, Graphic design, Interior design, Furniture design, Industrial design, Photography & Studio arts. English Language & Literature, Arabic Language & Literature, French Language & Literature, Psychology, Sociology, Philosophy, Education, & Translation. Management, Marketing, Finance, Accounting, Economics, Islamic Banking & Finance, Management Information Systems (MIS) & Hospitality Management. MBA with the following concentrations: Management & Human Resources. Electronics & Computer Engineering, Biomedical Engineering, Communication & Network Engineering, Industrial Engineering, Computer Science, Information Technology, Marine Transport & Technology* & Marine Engineering & Technology* & Civil Engineering (BS. degree). Nursing, Nutrition & Environmental & Occupational Health. Biology, Chemistry, Physics & Mathematics. Travel & Tourism (Concentration in Reservation & Ticketing or Guidance), Ecotourism (Concentration in Environmental Tourism) & Health & Recreational Tourism (Concentration in Therapeutic Tourism). Freshman & Intensive English Program (IEP). The university also offers Continuous Education programs: Travel & Tourism Extension Programs & various international certifications such as Cisco Certificates. * Maritime majors are offered in collaboration with Arab Academy for Science & Technology & Maritime Transport (AAST) (Alexandria- Egypt). - Arab Academy for Science & Technology and Maritime Transport (AAST) (Alexandria- Egypt). A total of 97 Russian universities feature in the QS University Rankings: BRICS 2015, a ranking of the best-performing universities in the major emerging economies of the BRICS countries (Brazil,Russia, India, China and South Africa). Read on for an overview of the top 10 universities in Russiathis year, with information about each institution, its international rank and its strongest subject areas. The largest and oldest of all universities in Russia, established in 1755, Lomonosov Moscow State University has a current student enrollment of over 40,000 students – the majority at postgraduate level, with around 4,000 international students admitted each year. Ranked 4th in this year’s BRICS ranking and 114th in the latest QS World University Rankings®, Lomonosov Moscow State University is located five kilometers from the city of Moscow, the cultural heart and capital of Russia, high up on the Sparrow Hills overlooking Moskva River. In the 2015 edition of the QS World University Rankings by Subject, Lomonosov Moscow State University is featured among the world’s top universities in 20 subjects. Of these, it performs best (in the top 50 worldwide) for mathematics, linguistics, modern languages and physics & astronomy, and is also among the top 100 for computer science. Also among the oldest and largest universities in Russia, Saint-Petersburg State University is this year ranked 15th within the BRICS countries and 233rdin the overall world rankings. Established in 1724 as the Saint Petersburg Academy of Sciences, it became known as a university in 1819. Today it enrolls over 32,000 students across 22 faculties and 13 research institutes. Saint-Petersburg State University’s two main campuses are based in Vasilievsky Island and Peterhof, both offering impressive cultural and sports facilities, in addition to close proximity to Russia’s second largest city, Saint Petersburg. As well as being ranked among the top 100 universities worldwide for linguistics, Saint-Petersburg State University is among the world’s leaders in a further 6 subjects, including a place within the global top 200 for history & archaeology, mathematics, modern languages and physics & astronomy. Younger than the other top universities in Russia,Novosibirsk State University was founded in 1959 as part of a Soviet plan to establish a Siberian division of the USSR Academy of Sciences. Currently ranked 19th in the BRICS ranking and 328th in the world rankings, Novosibirsk State University is located approximately 20 kilometers outside of Novosibirsk, the third most-populous city in Russia after Moscow and Saint Petersburg, and the cultural and industrial center of Siberia. Novosibirsk State University has a relatively small student body compared to many other leading Russian universities, with around 5,000 students. Of the six subjects Novosibirsk State University is internationally ranked for, it places in the world’s top 150 for mathematics and physics & astronomy, and in the top 200 for philosophy. Established in 1830, Bauman Moscow State Technical University is the oldest and largest of specialized technical universities in Russia, this year ranked 35th in the BRICS ranking and 322nd in the world rankings. Home to almost 20,000 students, and offering all levels of study, Bauman Moscow State Technical University has 19 departments but specializes in the fields of engineering and applied sciences. As well as offering free room and board to a number of students annually, the school is also highly reputed for its teaching of hearing-impaired students. Due to its technical focus, Bauman Moscow State Technical University is ranked among the world’s top universities in just one subject: mechanical, aeronautical & manufacturing engineering (top 300 worldwide). One of the most highly reputed Russian universities for its vocational training in the field of international relations and diplomacy, Moscow State Institute of International Relations (MGIMO University) is currently ranked 39th in the BRICS ranking and 399thin the world. Run by the Russian Ministry of Foreign Affairs, the Moscow State Institute of International Relations was formerly a part of Moscow State University, before becoming an independent institution in 1944. With a relatively small student body of 6,000 across undergraduate and graduate levels, Moscow State Institute of International Relations specializes chiefly in the humanities, covering international diplomacy, journalism and law. Programs are offered in a diverse selection of languages, including English and Russian. The second institution in this list of top Russian universities to be located in Siberia, Tomsk State University this year ranks 44th in the BRICS ranking and 491-500 in the world rankings. Founded in 1888 with just one faculty, Tomsk State University has since become a multidisciplinary university, home to 23,000 students across 23 departments. At its main campus in the historic and student-friendly city of Tomsk, Tomsk State University offers six English-taught master’s programs, 10 museums, an herbarium, a Siberian botanical garden, a pool, a cultural center and one of the most extensive library archives in Russia. This year, Tomsk State University is ranked among the top 300 universities worldwide for modern languages, and among the top 400 for physics & astronomy. Established in 1946 during the period of the Soviet Union, the Moscow Institute of Physics and Technology (State University), informally known as PhysTech, is a technical school focused on physics, mathematics and related subjects. Sometimes referred to as the “Russian MIT”, the Moscow Institute of Physics and Technology is this year ranked 45th in the BRICS ranking and 411-420 in the world rankings. Its main campus can be found towards the northern suburbs of Moscow, in Dolgoprudny, although its aeromechanics department is based in Zhukovsky in the south east of the city. At the smaller end of the spectrum, the Moscow Institute of Physics and Technology has a current student community of around 5,000. The Moscow Institute of Physics and Technology is ranked among the world’s top universities for two subject areas this year, placing in the top 200 for physics & astronomy and the top 400 for mathematics. Founded in 1942, the National Research Nuclear University, or “MEPhI” (shorthand for Moscow Engineering Physics Institute, of which it is a part), is a technical university focusing on the nuclear industry as well as the fields of physics, engineering and mathematics. This year MEPhI is placed 51st in the BRICS ranking and 481-490 in the world rankings. Located in Moscow, close to Kolomenskoye Park, MEPhI overlooks the banks of the Moskva River and is home to the royally owned “wooden palace”. It has a current enrollment of around 6,000 students. True to its focus, the National Research Nuclear University “MEPhI” is ranked among the world’s top 100 universities for physics & astronomy and also among the top 400 for mathematics. Coming 60th in the BRICS ranking and 481-490 in the world rankings is the St. Petersburg Polytechnic University, a large university in Saint Petersburg with over 30,000 students divided across more than 400 undergraduate and graduate programs. In addition to a wide range of faculties, including engineering, economics, humanities and information technology, St. Petersburg Polytechnic University also has 20 research centers which conduct joint research with leading technology companies such as Microsoft, Siemens and Apple. Like a number of the top universities in Russia, St. Petersburg Polytechnic University excels in the field of physics & astronomy, for which it is ranked among the top 250 universities worldwide. Established as recently as 1992, the Higher School of Economics (HSE) was awarded the status of a National Research University in 2009, and offers a multidisciplinary curriculum with a focus on the social sciences, mathematics, computer science and economics. This year the Higher School of Economics is ranked 63rd in the BRICS ranking and501-550 in the world rankings, having climbed steadily up the rankings thanks to its rapidly established reputation both within and beyond Russia. The current student body of over 20,000 is divided between the school’s main campus in Moscow and its three other campuses in the cities of St. Petersburg, Nizhniy Novgorod and Perm. True to its name, the Higher School of Economics ranks among the world’s top 200 universities for economics. It’s also ranked among the top 200 for philosophy and sociology, and within the top 100 for development studies. اقامت كلية الآداب والعلوم الانسانية - برنامج الدراسات المسرحية في جامعة البلمند حلقة دراسية عن مسرح الطفل بعنوان "بين التربية والابداع". واشار عميد كلية الآداب الدكتور جورج دورليان الى ان "هذا النشاط يعد الأول من نوعه كعمل فكري عملي تقوم به الكلية من خلال مركز الدراسات المسرحية المؤسس حديثا، منذ ثلاث سنوات، في الجامعة، وبعيدا عن الاجواء المأسوية المتمثلة باعتداءات بروكسيل، المتوافقة مع الجمعة الحزينة والفصحية في آن"، مؤكدا "دور الجامعة في إعطاء المسرح مساحة خاصة أدت إلى تلازم تطور المسرح مع تطور الكلية". من جهته، تحدث منسق الدراسات المسرحية الدكتور شارل ديك عن "البعد الخيالي للطفل الذي فينا والذي لا يفارقنا". وتضمنت اعمال الحلقة ثلاثة محاور هي: المحور الأول عن تاريخ تجربة مسرح الطفل في لبنان تحدث خلالها فائق حميصي عن مسرح الطفل بين التربية والعرض، جيزال هاشم زرد حول خبرتها مع مسرح الأطفال، عبيدو باشا الذي قدم مقاربة تاريخية لتجربة مسرح الطفل وتمايز فرقها، تلاه مداخلة فارس يواكيم ،التي أرسلها من المانيا حيث يقيم،عن تجربة كتابة مسرحيات الأطفال في مسرح شوشو. المحور الثاني تناول المدارس المسرحية وتجاربها حيث تقدمت نجلا جريصاتي خوري بمراجعة حول أعمال "صندوق الفرجة"، الدمى، خيال الظل والمسرح التجريبي وتبعها كريم دكروب مقدما الأسس التي يعمل بها عبر فرقة مسرح الدمى اللبناني، ثم لقاء مع عبد الله الحمصي (أسعد) الذي تناول تجربته في مسرح الاطفال كما قدم معه المخرج والكاتب توفيق المصري ايضاحات حول شراكته لأسعد في اعداد المسرح التربوي المقدم للأطفال. واتبع المحور الثاني بعرض لمسرح كريم دكروب الاحدث "يا قمر ضوي ع الناس " التي قدمت امام اطفال اتوا من مدارس في مختلف مناطق محافظة الشمال يرافقهم مسؤولو النشاطات فيها الذين عبروا عن استمتاعهم بالعمل المقدم بوسائل تقنية ابهرت، من ناحية مزجها بين التمثيل وتحريك الدمى والمؤثرات السينمائية، والتي رافقتها موسيقى خاصة واغنيات جديدة لاحمد قعبور. أما المحور الثالث فتناول الموسيقى والأغنية في المسرح الموجه لجمهور الاطفال قدم فيه كفاح فاخوري قراءة تناولت ريادة جوزيف فاخوري لمسرح الدمى كاتبا وموسيقيا، بعدها قدم بول مطر مطالعة أثار خلالها اشكاليات قوالب الموسيقى وعالم الطفل وكانت ايضا مداخلة من غازي مكداشي تحدث فيها عن رغبة الترقي عند الطفل من خلال تجربته الموسيقية العملية التي رافقت تأسيسه الفرق التي قدمت الاغنيات والمسرحيات للأطفال. Browse the 2016 College Rankings list below or search for a top-ranked on-campus or online college program that specializes in your area of interest.Top-ranked national universities, such as Princeton and MIT, offer a wide variety of majors and award bachelor's, master's and doctoral degrees. Many of these 2016 top-ranked colleges and universities also produce groundbreaking research in one or more fields. Browse the college rankings list below for top school rankings or select a specific college ranking category from the list on the left. Princeton University, located in quiet Princeton, N.J., was founded in 1746. The historic campus offers several events, activities, and organizations on its 600 acres. The Princeton Tigers are part of the Ivy League and are known for their strong men’s and women’s lacrosse teams. This private institution has educated several notable alumni including U.S. President Woodrow Wilson. All undergraduate students are required to write a senior thesis, a unique aspect of Princeton’s academic program. Are you ready to begin an undergraduate degree program now? U.S. News University Directory canmatchyou with top schools and accredited degree programs that meet your criteria in a few simple steps.Get matched now! Engineering, general, Chemical engineering, Civil engineering, general, Computer engineering, general, Electrical and electronics engineering, Mechanical engineering, Operations research, Comparative literature, Slavic languages, literatures, and linguistics, general, German language and literature, French language and literature, Hispanic and latin american languages, literatures, and linguistics, general, Classics and classical languages, literatures, and linguistics, general, English language and literature, general, Molecular biology, Mathematics, general, Multi-/interdisciplinary studies, other, Philosophy, Religion/religious studies, Architecture, Astrophysics, Chemistry, general, Geology/earth science, general, Physics, general, Psychology, general, Public policy analysis, general, Anthropology, Demography and population studies, Economics, general, Political science and government, general, Sociology, East asian studies, Near and middle eastern studies, Art history, criticism and conservation, Music, general, History, general. Harvard University, located in urban Cambridge, Mass., is a private institution founded in 1636. Harvard is known for its extensive library system that houses the oldest book and document collection in the United States and the largest private collection in the world. In addition to an education at an outstanding school, Harvard also offers sports and active student organizations. Harvard has also educated eight U.S. presidents and other notable alumni. East asian studies, Computer science, Electrical and electronics engineering, Engineering science, Mechanical engineering, German language and literature, Linguistics, Slavic languages, literatures, and linguistics, general, Comparative literature, Romance languages, literatures, and linguistics, general, Classics and classical languages, literatures, and linguistics, general, English language and literature, general, English language and literature/letters, other, Liberal arts and sciences/liberal studies, Biology/biological sciences, general, Biochemistry, Biochemistry and molecular biology, Cell/cellular and molecular biology, Evolutionary biology, Neurobiology and neurosciences, other, Mathematics, general, Applied mathematics, general, Statistics, general, Environmental studies, Philosophy, Religion/religious studies, Astronomy and astrophysics, other, Chemistry, general, Geology/earth science, general, Physics, general, Atomic/molecular physics, Psychology, general, Economics, general, History, other, Social sciences, general, Anthropology, Political science and government, general, Sociology, Near and middle eastern studies, South asian studies, African-american/black studies, Women's studies, Music, general, Visual and performing arts, general, Art history, criticism and conservation, History, general, History and philosophy of science and technology. Yale University, located in urban New Haven, Conn., is a private institution founded in 1701. Yale is known for its excellent drama and music programs. The Yale Bulldogs are part of the Ivy League and have an on-going rivalry with Harvard. Yale is also well known for its secret societies, the most popular ones being the Skull and Bone Society and the Scroll and Key Society. Actress Meryl Streep, Washington Post reporter Bob Woodward and actor Edward Norton are distinguished Yale alumni. Columbia University, located in the New York City borough of Manhattan, is a private institution founded in 1754. Columbia offers a wide range of student activities. The Columbia Lions have more than 25 NCAA Division I teams in the Ivy League, there are numerous Greek fraternity and sorority chapters on campus, and the university has organizations like the Urban New Yorker, which gives out free tickets to events in the city. John Jay, President Barack Obama, Richard Rodgers, Oscar Hammerstein II and Maggie Gyllenhaal are distinguished Columbia alumni. Romance languages, literatures, and linguistics, French language and literature, Spanish language and literature, Middle/near eastern and semitic languages, literatures, and linguistics, Latin language and literature, English language and literature, general, Applied mathematics, Statistics, Philosophy, Religion/religious studies, Architecture, Psychology, Economics, Sociology, Hispanic-american, puerto rican, and mexican-american/chicano studies, Dance, Art history, criticism and conservation, History, Computer science, Civil engineering, other, Engineering mechanics, Environmental/environmental health engineering, Materials engineering, Mechanical engineering, Operations research, East asian languages, literatures, and linguistics, Germanic languages, literatures, and linguistics, general. Stanford University, located in suburban Stanford, Calif., is a private institution founded in 1885. Stanford has 8,180 acres for student activities and many student organizations, including the Stanford Solar Car Project, which designs, builds and races a solar car every two years. U.S. President Herbert Hoover, NFL quarterback John Elway, actress Sigourney Weaver and golfer Tiger Woods are all distinguished Stanford alumni. Computer science, Engineering, Aerospace, aeronautical and astronautical engineering, Chemical engineering, Civil engineering, Civil engineering, other, Electrical and electronics engineering, Environmental/environmental health engineering, Materials engineering, Mechanical engineering, Petroleum engineering, Systems engineering, Chinese language and literature, Japanese language and literature, French language and literature, Italian language and literature, Portuguese language and literature, Spanish language and literature, Classics and classical languages, literatures, and linguistics, other, English language and literature/letters, Creative writing, Biological and biomedical sciences, Biology, general, Mathematics and statistics, Mathematics, general, Statistics, Systems science and theory, Mathematics and computer science, Science, technology and society, Human biology, Philosophy, Religion/religious studies, Jewish/judaic studies, Chemistry, Geology/earth science, general, Physics, Materials science, Psychology, Public policy analysis, Anthropology, Archeology, Economics, International relations and affairs, Sociology, Urban studies/affairs, African studies, American/united states studies/civilization, Asian studies/civilization, East asian studies, Russian, central european, east european and eurasian studies, Latin american studies, German studies, Area studies, other, African-american/black studies, American indian/native american studies, Hispanic-american, puerto rican, and mexican-american/chicano studies, Asian-american studies, Women's studies, Ethnic, cultural minority, gender, and group studies, other, Drama/theatre arts and stagecraft, Film/cinema/video studies, Film/video and photographic arts, other, Art/art studies, general, Music, History, Communication and media studies. The University of Chicago, located in urban Chicago, Ill., is a private institution founded in 1892 and known as one of the nation’s leading research universities. Aside from the academics, the University of Chicago also offers many student activities. The Chicago Maroons have more than 15 NCAA Division III Teams and there are more than 400 student organizations. Students also can join the small but active Greek life. Distinguished alumni include John Ashcroft, Milton Friedman, Jesse Jackson, John Paul Stevens and Kurt Vonnegut Jr.
Computer science, Engineering science, Linguistics, East asian languages, literatures, and linguistics, other, Slavic, baltic and albanian languages, literatures, and linguistics, German language and literature, South asian languages, literatures, and linguistics, French language and literature, Italian language and literature, Portuguese language and literature, Spanish language and literature, Romance languages, literatures, and linguistics, other, Middle/near eastern and semitic languages, literatures, and linguistics, other, Classics and classical languages, literatures, and linguistics, English language and literature, general, Biology/biological sciences, general, Neuroscience, Mathematics, general, Statistics, general, Environmental studies, Philosophy, Jewish/judaic studies, Theology/theological studies, Physics, general, Social sciences, other, African studies, Latin american studies, Ethnic, cultural minority, gender, and group studies, other, Directing and theatrical production, Film/cinema/video studies, Art history, criticism and conservation, Music, general, Visual and performing arts, other, History, general, History and philosophy of science and technology. The Massachusetts Institute of Technology, located in urban Cambridge, Mass., is a private institution founded in 1861 and known for scientific and technological research. The MIT Engineers have more than 30 NCAA Division III teams. MIT also offers housing in one of the coolest dorms in the country, known as “The Sponge”, designed by Steven Holl. Apollo 11 astronaut Buzz Aldrin, former U.N. Secretary General Kofi Annan, and Federal Reserve Bank Chairman Ben Bernanke are among MIT’s distinguished alumni. Duke University, located in suburban Durham, N.C., is a private institution founded in 1838. The campus is 8,709 acres and offers, in addition to a top notch academic education, many different sports and student activities. The Duke Blue Devils are well known for their men’s basketball program and their rivalry with the University of North Carolina Tar Heels. Numerous students are affiliated with Greek life, which has several fraternities and sororities. Melinda Gates, co-founder of the Bill and Melinda Gates Foundation, NBA player Carlos Boozer and U.S. Congressman and two-time presidential candidate Ron Paul are among Duke’s notable alumni. Computer and information sciences, general, Education, general, Bioengineering and biomedical engineering, Civil engineering, general, Electrical and electronics engineering, Mechanical engineering, Linguistics, Comparative literature, Slavic languages, literatures, and linguistics, general, German language and literature, Romance languages, literatures, and linguistics, general, French language and literature, Spanish language and literature, Classics and classical languages, literatures, and linguistics, general, Ancient/classical greek language and literature, English language and literature, general, English language and literature/letters, other, Biology/biological sciences, general, Neurobiology and neurosciences, other, Mathematics, general, Environmental studies, Medieval and renaissance studies, Multi-/interdisciplinary studies, other, Philosophy, Religion/religious studies, Chemistry, general, Geology/earth science, general, Physics, general, Psychology, general, Public policy analysis, general, Anthropology, Demography and population studies, Economics, general, Sociology, Asian studies/civilization, Area studies, other, African-american/black studies, Women's studies, Design and visual communications, general, Drama and dramatics/theatre arts, general, Art history, criticism and conservation, Music, general, History, general. The University of Pennsylvania, located in urban Philadelphia, Penn., is a private institution founded in 1740 by Benjamin Franklin. The school offers several student activities. The Penn Quakers have more than 25 NCAA Division I sports that compete in the Ivy League and the Greek life is strong with numerous fraternities and sororities. The university offers several clubs and organizations and works closely with the west Philadelphia area through community service. William Henry Harrison, William Carlos Williams, and Donald Trump are among Penn’s distinguished alumni. In the whole of Middle East, UAE is seen as an Educational Hub for students to come and pursue higher education. The following Colleges and Universities provide various courses in Engineering, Management, Technology and many other fields. Australia is home to 43 universities with at least one university main campus based in each state or territory.The Australian Universities map allows you to see where each university’s main campus is located. Most universities have more than one campus and are located across multiple states and territories, providing you with a choice of where in Australia you would like to study. Top British: In terms of numbers of international students, the UK overall lags only behind the considerably larger US – and this popularity is unsurprising given the strong global reputation enjoyed by UK universities. An impressive 71 UK universities feature in the QS World University Rankings® 2015/16, with four currently ranked among the world’s top 10. The University of Cambridge is currently ranked joint third in the world, while theUniversity of Oxford is sixth, followed by UCL (University College London) at seventh andImperial College Londonat eighth place.King's College London (KCL) and the University of Edinburgh are also in the global top 25, while theUniversity of ManchesterandLondon School of Economics and Political Science (LSE)are within the top 40. A total of 18 UK universities appear in the top 100, and another 12 make the top 200. Exeter’s first appearance in the Complete University Guide’s top 10 was just 2 years ago and it’s managed to maintain its spot for the 3rd year in a row. Exeter’s rise to prominence has been spearheaded by its rapidly increasing graduate prospects and entry standards. Located in the South West, attending university here almost guarantees you’ll get the lion’s share of England’s good weather – perhaps it was time spent day-dreaming in the sun that inspired J.K Rowling’s wizarding world. After a brief 2 year hiatus Lancaster University is back in the UK's top 10. The university has been working and spending towards a better all-round experience for its students with its return to the top 10 attributable to increased Facilities Spend and Academic Services Spend - the uni spends £1,565 per student on academic services such as the library and computing, and £778 per student on supporting services such as sports facilities. For a top quality campus-based university experience, and quick access to the great outdoors (the Lake District is on Lancaster's doorstep) Lancaster University might be the one. Search through undergraduate courses at Lancaster University. The University of Surrey has well and truly gone from strength to strength when it comes to its position in the Complete University Guide. In our first publication in 2008 Surrey were ranked 35th, and now at long last the university qualifies for our coveted top 10. Surrey scores highly for Student Satisfaction – 4.24 – and for Graduate Prospects – 81.2%. Located in Surrey's county town, Guildford, this university is 1 for those seeking a high quality education in a bustling area with the luxury of having the nation's capital not far down the road. Search through undergraduate courses at the University of Surrey. When it comes to universities in the Midlands, Warwick always comes out on top. Scoring highly for Entry standards, Research and Graduate Prospects, you’ve got to seriously consider this institution for your university career. Warwick also features heavily in our subject tables, appearing in the top 10 for 19 different subjects - truly an all-rounder. Beautifully set against the backdrop of the east coast of Scotland, the country's oldest university continues to perform well under the intense scrutiny of the Complete University Guide. Despite its rural location St Andrews has quite a pull for our young minds, with over 30% of the town’s population being either a student or lecturer during term-time. Interestingly the university has produced more directors of FTSE 100 companies in proportion to its size than any other educational institution in Britain – now that’s food for thought. Not just a stomping ground for Oxbridge rejects, Durham is a high-performing university in its own right, as is evidenced by its consistent appearance in the top 5 of our university league tables – forget top 10. Trust us, the city of Durham is not to be missed and if you are accepted for a place at Castle College you’ll literally be living in a castle. Add to this Durham’s outstanding reputation for research and teaching, you’re on to a winner. Imperial always places within the UK's top 10 unis and will be pleased to have regained its 4th place position in the 2016 league table. The university has made small improvements in scores across the board but most notably in Student Satisfaction, Entry Standards, and Graduate Prospects. A specialist in science, engineering, medicine and business, and located in the get-up-and-go city of London, places at Imperial are highly sought after. No surprises here. The top 3 placings have been the same for 4 years running now. LSE certainly doesn’t have a bad reputation when it comes to the Complete University Guide, having occupied a top 5 position since the league table’s inception all the way back in 2007 – but now it’s safe to say the uni is brushing shoulders with Oxford and Cambridge. LSE specialises in the social sciences and has a global focus, in fact the student cohort includes representatives from around 145 countries. Poor old Oxford, placing behind its adversary in the Complete University Guide league table seems to be becoming something of a habit. Let’s be fair though, 2nd place isn’t to be sniffed at and Oxford won this year’s boat race, in both the women's and the men's races – have that Cambridge! Oxford’s reputation is largely based on its academic prowess with it having developed some of the greatest minds of our time such as Stephen Hawking – and of course, the infallible Boris Johnson. Cambridge pip Oxford to the post for the 5th year running. That’s 5 years in a row at the top of the Complete University Guide’s university league tables, an impressive feat to say the least. World renowned for its excellence in teaching and research, and with rigorous entry standards, Cambridge looks set to rule the UK university scene for some time. This is the place to be if you hope to 1 day stand on the shoulders of giants such as Isaac Newton and Charles Darwin. Several of Belgium’s universities are regularly rated among the top 200 universities in the world. Katholieke Universiteit(KU) Leuven located near Brussels is the oldest existing Catholic university in the world, founded in 1425, and Belgium’s biggest university. It offers courses in 11 Belgian cities and remains an important center of higher learning and scientific research catering to more than 40,000 students, of which around 16 percent are international. The university’s world-famous library (with its 30 subsidiaries) has more than four million books and some 15,000 periodicals. Université Catholique de Louvain(UCL) was originally part of KU Leuven but was moved to the French-speaking area of Brussels around 1970 as a result of changes in the education system. It combines the traditional with the modern, attracting some of the most qualified students, researchers and teachers from Belgium and beyond, with almost one-fifth of the student population coming from abroad. Université Libre de Bruxelles(ULB) has one of the highest rates of foreign students in Belgium, constituting one third of the student population. It was founded in 1834 and includes several university hospitals. It also manages zones devoted to research and contributed to the education of four Nobel Prize winners, the most recent being François Englert for his part in theorising the Higgs particle, in addition to Jules Bordet for Medicine in 1919, Albert Claude for Medicine in 1974, and Ilya Prigogine for Chemistry in 1977. The university is also a founding member of the International Forum of Public Universities (IFPU) and works in partnership with the Universities of Oxford, Berkeley and Paris IV, among others. Ghent University or UGent, became the first Dutch-speaking university in Belgium in 1930, and is now attended by more than 40,000 students, including a sizeable international crowd that is attracted to the university’s science and engineering programs. It offers advanced degree programmes, many of them in English, and boasts several Nobel Prize winners over the course of the university’s history. University of Liègefounded in 1817, is the public university of the Walloon Brussels Community and is part of the Wallonia-Europe University Academy. There are some 22,000 students across 11 faculties, comprising around 20 percent of foreign students. It has a large focus on facilitating mobility, and its practices have received EU recognition. Honorary degrees have been awarded to individuals such as Nelson Mandela, Yasser Arafat, Shimon Peres, and Salman Rushdie. Vrije Universiteit Brussel(VUB) is the Dutch Language University in Brussels, initially formed as a part of the French-speaking Université Libre de Bruxelles (ULB) before becoming a university in its own right in 1970 when significant legislative changes heralded in a new educational era. Many courses are available in English, including Master’s and PhD degrees. Universiteit Antwerpen (UA) history is grounded in commerce and is the product of three joined institutions. With some 13 percent of its 21,000 student population coming from abroad, it offers several postgraduate courses in English across nine faculties. UA has close ties to Antwerp University Hospital (UZA), Antwerp Management School (AMS) and other higher education institutions that belong to the Antwerp University Association. Vlerick Business Schoolis the only Belgian school to hold triple accreditation from Equis, AMBA and the American AACSB. It is also Europe’s oldest business and management school, founded in 1953 by Professor André Vlerick. It recently added a new campus in the centre of Brussels, in addition to its Belgian campuses in Leuven and Ghent, and St Petersburg, Russia. The schools benefit from alliances with more than 40 international business schools, and host around 6,800 people in postgraduate management and executive development programs. Several international institutions have been established as part of Belgian universities and colleges or simply set up to offer their own graduate and postgraduate programs. Brussels School of International Studies(BSIS) is a postgraduate school tied to the University of Kent in Brussels. Located in a newly acquired facility overlooking its partner schools, the BSIS offers postgraduate programs in politics, international relations, law and economics. College of Advertising and Designis a higher education art college specializing in design, advertising, graphic and web design, interior architecture, and digital animation. It is one of the few colleges in Belgium and France to provide an English/American-style education and is attended by some 170 students. CERIS(Centre Européen de Recherches Internationales et Stratégiques) is a postgraduate school offering a Master’s course in international politics and a Master’s in development policy, plus postgraduate certificates, which can be studied externally. College of Europeis a unique and innovative postgraduate institute of European studies. Founded in 1948 and located in Bruges and in Natolin (Warsaw, Poland), it is financed by the EU governments and offers one-year Master’s degrees. Graduate studies are in international relations, law, political and administrative sciences, economics, and general European studies. United Business Instituteshave been offering since many years a MBA program in the heart of Brussels, alongside their BA and DBA programs. The school is able to offer European validation by the Middlesex University London, and also facilitates the transfer of business academic credits for both incoming and outgoing students. University of Marylandoffers undergraduate and graduate courses covering arts, science, business and management, information technology and more. In Belgium it operates from three locations and has online courses as well. Vesalius College Situated in Brussels, it is an American-style college founded by the VUB and Boston University in 1987 to offer undergraduate education in English. The college offers three-year European Bachelor’s degree programs in business, communications, international affairs, and as of fall 2015, international and European law. Vesalius and its degree programs are registered and accredited with the Flemish government in Belgium. United International Business Schoolshas campuses inAntwerpandBrussels, alongside several locations in Europe and Asia where students can transfer on a quarterly basis. It is an independent and accredited private institution offering flexible business, management, language and cultural studies at undergraduate and postgraduate levels. The two Belgian locations are grouped under the title of the International University of Belgium. ICHEC Business Schoolhas more than 60 years’ experience and more than 2,000 students each year. It awards Bachelor’s and Master’s degrees in business management, science and engineering, with day and evening classes available. Bilingual courses encourage language skills. Solvay Business Schooloffers undergraduate and postgraduate courses in economics, business engineering and management science, and is associated with the Université Libre de Bruxelles. The programs provide training in international management skills, and students may customize their program to specialize in European or international areas, networks, internships or study abroad. European Institute for Public Administration(EIPA), with locations in Brussels, Luxembourg, Maastricht and Barcelona, provides courses in European affairs oriented towards the practice of lobbying and other training, plus Master’s programs in European public affairs and legal studies. Once you decide to study in Canada, you will realize that it’s a great future investment; cost and quality effective. Studying in Canada will give you access to excellent education, a cultural diversity and most importantly one globally recognized degree. However studying abroad, just as in any other country which is not your own, requires prior financial planning and commitment before your departure. One of the most important aspects of choosing an overseas study destination is the total cost in terms of tuition and living expenses. Canada, therefore offers a reasonable price to knowledge and self-affiliation, for both national and international students. Tuition fees in Canada vary across programs, universities and provinces. Generally degrees in professional schools like law, medicine and the MBA are ranked as the most expensive as in every other country. The program duration in Canada ranges from 3 – 4 years for undergraduate programs and 1 – 2 years for graduate programs. Application fees $50 to $150 depending on the University. Approximately 25per University due to authentication of documents required by the University (transcripts, recommendation letters). Entrance exam costs around $ 200 a piece, depending on the field you are applying for. Usually students take this exam two times therefore plan on spending around 500 $ on this test. Test scores like GMAT, GRE, SAT, TOEFL, IELTS have to be reported by the testing agencies (like ETS), which may cost up to $ 20 per University (an average cost for reporting scores of all tests you may have taken). Canada is a big and assorted country even when it comes to expenses, so the money you will spend on University fees overall depend widely on the region you choose to live. The expenses also vary from the different study programs you are enrolled in, whether you are and undergraduate students or a graduate student and so on. Ranked 24thin the world, McGill University has once again overtaken the University of Toronto to return to its earlier position as the highest ranking university in Canada. Founded in 1821, the university has international students from 150 countries and has been voted first in Canada among medical-doctoral universities for 10 consecutive years. Ranked 34th in the world, the University of Toronto is located in Canada’s largest city. Its areas of acclaim include literary criticism, communication and theory, and a range of research innovations, including being the birthplace of insulin and stem cell research. Over on the west coast, the University of British Columbia ranks 50th in the world and is home to almost 60,000 students (almost 12,000 of whom are international students) at its campuses in Vancouver and Kelowna. Ranked joint 96th in the world in the QS World University Rankings this year alongside the University of Helsinki, the University of Alberta is a major economic driver in Alberta and has been particularly well-respected for its arts and humanities courses. The Université de Montréal is one of Canada’s major research centers, allocating nearly $524 million to research conducted in more than 150 research centers as of 2011. It ranks 115th in the world this year and has an international community of over 7,000 students. This year McMaster University ranks joint 149th in the world alongside the Université Catholique De Louvain. It’s is located on a 300 acre campus in the city of Hamilton, Ontario, which in recent years has attracted attention for its growing arts scene. Ranked 152nd in the world this year, the University of Waterloo has climbed 17 places compared to the previous year’s rankings. The university is a member of the U15, a group of research-intensive universities in Canada, and claims to have the number one psychology department in Canada, based on research citations. Otherwise known as the University of Western Ontario, Western University is ranked 192nd in the world this year and is especially known for its medicine, science and business courses – with its largest faculty being the social sciences. Ranked joint 204th in the world alongside the Università Di Bologna, the University of Calgary is the birthplace of significant inventions such as the neurochip, and counts the current Prime Minister of Canada, Stephen Harper, among its alumni. Based in Kingston, Ontario, Queen’s University, is ranked 206th in the world this year, and has campuses spanning more than 1,400 hectares (3,500 acres) of land throughout Ontario. Queen's was the first university west of the maritime provinces to admit women, and to form a student government. 11. Simon Fraser University – ranked 225th in the world. 12. Dalhousie University – ranked joint 277th in the world. 13. University of Ottawa – ranked joint 284th in the world. 14. University of Victoria – ranked joint 319th in the world. 15. Laval University – ranked joint 324th in the world. 16. Concordia University – ranked 411-420 in the world. 17. Université du Québec – ranked 431-440 in the world (a good leap from its ranking of 501-550 last year). 18. York University – ranked 441-450 in the world. 19. University of Saskatchewan – ranked 451-460 in the world. 20. University of Guelph – ranked 471-480 in the world. 21. Carleton University – ranked 501-550 in the world. 22. University of Manitoba – ranked 551-600 in the world. 23. Memorial University Of Newfoundland – ranked 601-650 in the world. 24. Université de Sherbrooke – ranked 601-650 in the world. Parents want the best for their children!